At least 16 service members died when a military flight crashed in LeFlore County, Mississippi, the Marine Corps said in a statement, adding that the cause of the crash is still unknown. “A Marine Corps KC-130 transport aircraft crashed in LeFlore County, Miss., on July 10 at approximately 4 p.m. CDT, claiming the lives of 16 service members,” the statement said. The refueling tanker was loaded with explosives, keeping emergency responders at bay, a state trooper told WMC. Investigators told WMC that debris indicated the plane exploded in midair. Officials located 12 bodies and continued to look for others across a large debris field five hours after the crash, LeFlore County Sheriff Ricky Banks told the Associated Press. The LeFlore County deputy, Will Gnemi, told reporters that the coroner’s office was at the scene searching a field of tall vegetation for victims. At the time, he didn’t know how many casualties there would be. The fire chief of Greenwood, Marcus Banks, said that the radius of the debris is 5 miles, according to the Greenwood Commonwealth. Banks said that the call came in at around 4:00pm and an aircraft crash truck was traveling to the scene. He also mentioned that 4,000 gallons of foam were used to put the fire out. Banks described several “high-intensity explosions” that drove away firefighters, the Commonwealth reported. 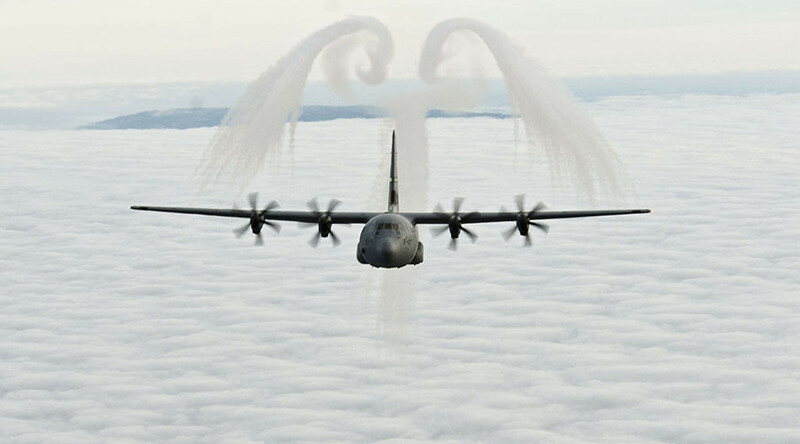 The KC-130, manufactured by Lockheed Martin, is a four-engine turboprop aircraft mostly used for military transportation, according to the company’s website.